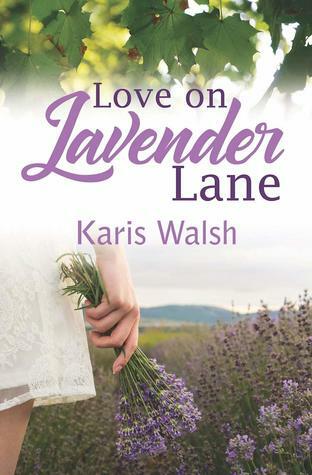 Love on Lavender Lane is about Paige, a consultant who helps businesses improve profit margins, and Kassidy, a lavender farmer whose dad pays for a consultation from Paige. Though Paige is more accustomed to working with bigger companies, she relishes the chance to get away from Portland, work in the countryside for a bit, and get her hands dirty. Kassidy, on the other hand, doesn't exactly care for her estranged father's gift, and she thinks Paige will advise her to sell the farm. Their attraction is pretty immediate, and although I wouldn't categorize it as insta-love, part of me wish they'd spent longer in the almost-rivals stage. I'd definitely classify this as a soft story. Not a lot big happens, and I'm very okay with that. The characters are the main focus here, and Paige and Kassidy are both lovely. I liked Paige a little more because she was more outgoing and funny, but I connected with Kassidy more because she's more reserved and likes to stay in her comfort zone. They spend a lot of the book learning about each other, and they both deal with past baggage in a believable way. My biggest complaint about that is the black moment was a little too dramatic. I had some trouble following Kassidy's logic there and wish the characters would've talked it out more. This book also features a loveable dog named Dante, who was my favorite character--hands down! I only wish Kipper the cat had featured a bit more, too, but Dante stole the show. Although it didn't blow me away, this was a pleasant read with an interesting premise and an even lovelier setting. Thanks to NetGalley, Bold Strokes Books, and Karis Walsh for the e-copy!